If you love boxing and like to dine out with clients or friends and enjoy a corporate beverage service. Then this is the night out you've been waiting for. Get ready for an entertaining night of Corporate Boxing. 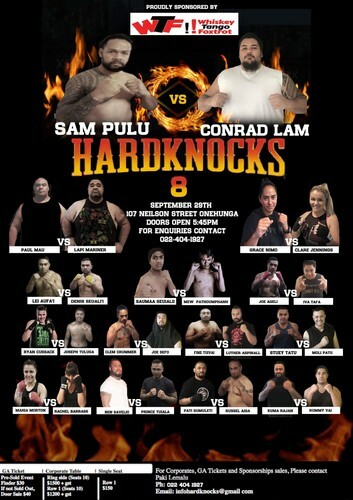 Sanctioned by PBCNZ and proudly brought to you by HardKnocks Ltd.